Your Japanese chef slowly bows to greet you. Then, polished steel and human hands fly faster than the eye can follow as this master culinary artist chops, slices, and stir-fries a gourmet meal as you watch. Shrimp, Scallops, Beef, Chicken and vegetarian dishes are whipped up in a fabulous gastronomic cabaret right before your eyes in one of Teppanyaki's five teppan rooms�you won�t know whether to clap or dig in whilst your meal�s still piping. Located on the second floor of a traditional Japanese pagoda style building, Mitsukoshi is a feast for the eyes and nose as well as your taste buds. The chefs and servers are all authentic Japanese shipped straight from the land of the rising sun, along with some of the traditional ingredients the chefs� use. 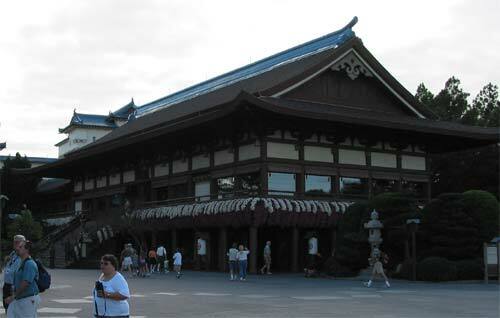 For a thoroughly authentic taste of Japan Mitsukoshi is the only realistic option.